Having trouble falling asleep in this cold cold weather with your toes dangling out of your tiny blanket? 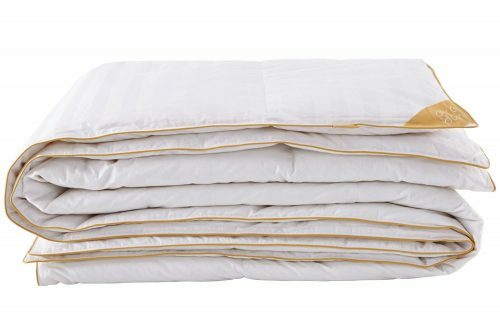 Save your time and energy by using one comforter all year round, the PureDown luxury White Goose Down Comforter works for all your seasonal needs, it’s ultra-soft and fluffy with minimal noise emission, but most importantly it’s big enough to cover up your whole body without feeling suffocated. 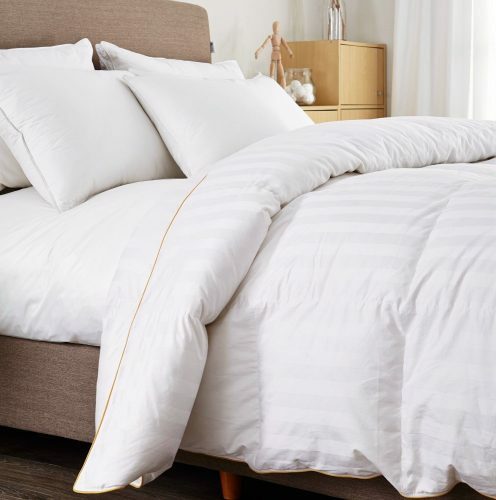 Made of 100% cotton shell, 75% white goose down and 25% white goose feather, the classic stripe white pattern will easily fit into any decor of your room. 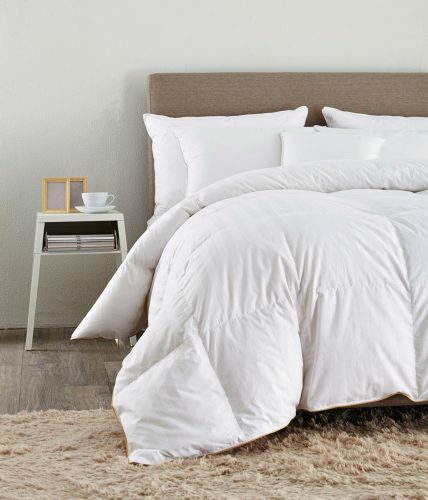 This luxurious comforter is available in 3 sizes: Twin, Queen/Full, and King size. Get if off Amazon now and enjoy up to 20% off the collection.